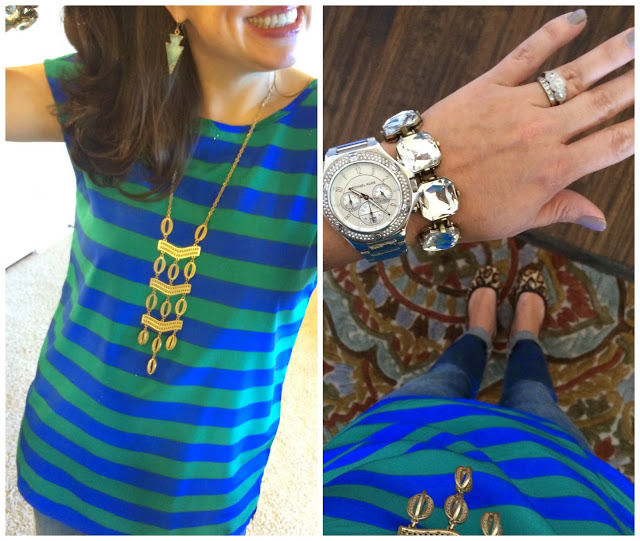 FRIDAY FAVORITES: SPLURGE VS. STEAL EDITION!!!!! Before we officially started today, you need to know that I got THESE. They arrived yesterday (I got the grey embossed snake), and I can tell you that they are going to be my GO TO shoe for spring. They are of course going to look great with cuffed jeans, skinny jeans, colored jeans, and shorts. I’ve also been seeing similar shoes styled with casual sundresses, and I’m thinking I’ll be trying that look out too. Anyway, love ’em. I’ll be featuring them on the blog next week! Today is a very special SPLURGE vs. STEAL Edition of Friday Favorites! and you should go and link up with one of them too! I am so excited about today’s post! I have TONS of splurge vs. steal items to showcase today!!!!! And who doesn’t love a great deal?!?!? Sometimes having the “real” thing is important to people, and sometimes it isn’t. Most of the time it doesn’t really matter to me. I won’t say it never does (because I’ve learned to never say never thankyouverymuch), but most of the time I just want an item to look good and I don’t really care if it’s “real”. It’s only $48, and you can click HERE if you want to see the entire post. Click for HERE for one of my favorite necklaces of all times. Click HERE for the necklace post in it’s entirety. And THESE were never officially labeled a splurge vs. steal, but they should have been, because they are SUPER close to the Kate Spade large studs, at a fraction of the price! 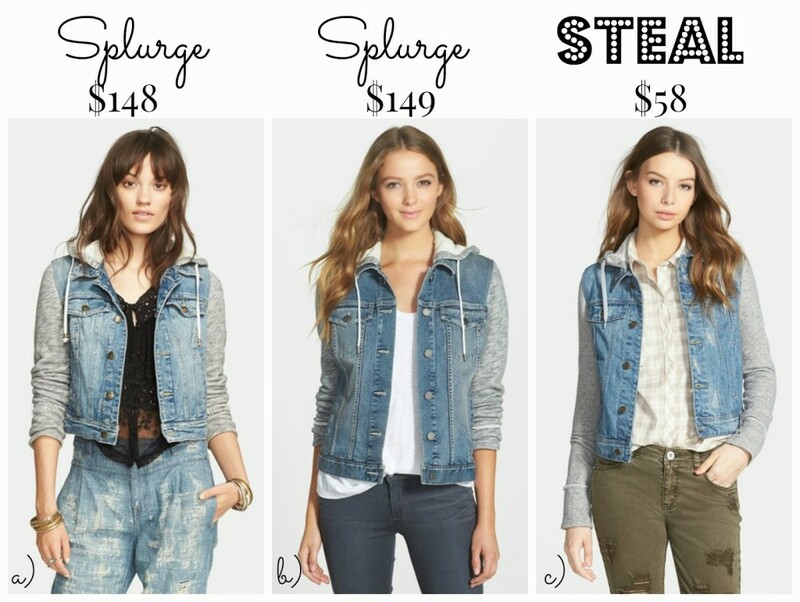 And today, I’m bringing you 4 more AWESOME Splurge vs. Steal ideas! I haven’t actually seen these in person, but while surfing around at Nordstrom, I found these jackets that seem pretty much identical to me. My favorite is definitely “c”. 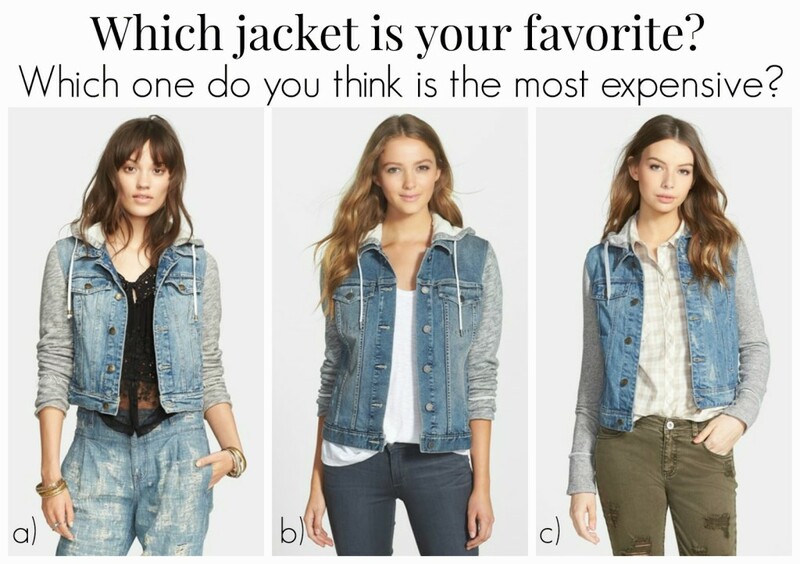 I like the color, cut, and fit of “c” the best….and I of course love that it’s the least expensive! I know many of you know and love the handbag designer Rebecca Minkoff. I have a large studded Rebecca Minkoff crossbody that I got 2 years ago at Christmas that I adore. I never put it in posts, because every single time I do people go crazy for it, and I can’t find a similar one to link to (and the original has been sold out for 2 years). After talking about crossbody bags in a previous post a couple of weeks ago, I found out that many of you are fans of small crossbody bags (I prefer mine to be large). Well, I found this next one in the junior’s department at Nordstrom! Here I am trying it on earlier this week! I apologize for the lighting (it was all weird in the dressing room that day), but I still think you get a good idea for the overall look and size. Every so often Amy at Accessory Concierge (Hi Amy!) will contact me to see if there is anything on their site that I’m interested in trying out and reviewing for y’all. I don’t always take her up on it, but HOLY COW I did this time. I got a pair of earrings, 2 bracelets, and 2 scarves. And lucky y’all……some of them are Splurge vs. STEAL pieces! So, pretty much we are talking straight up highway robbery today girls! Use the code PTMTJAN to receive 20% OFF your ENTIRE ORDER from Accessory Concierge!!!! Let’s start out with the most worn bracelet in my closet. Sometimes I wear it on it’s own with my watch. Sometimes it’s stacked with lots of other bracelets. 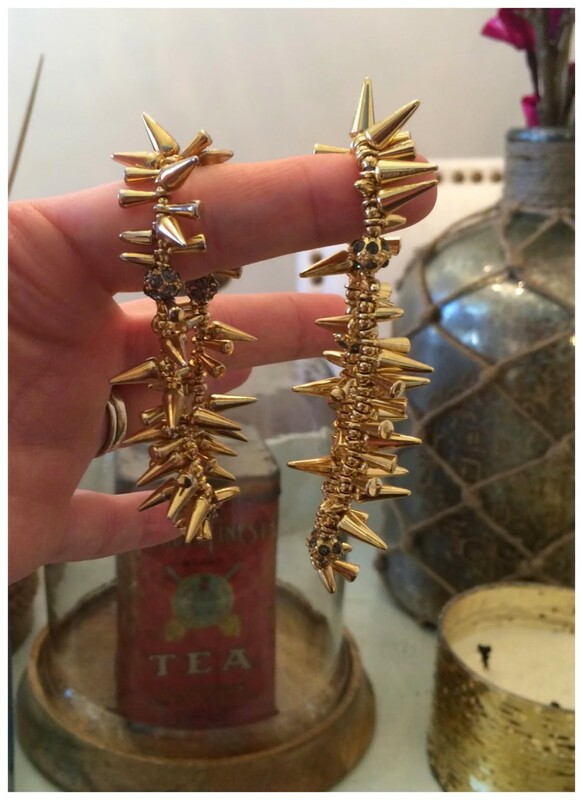 It’s my spikey bracelet (and I know lots of you already have it)! But today I have a similar one for you at a seriously reduced priced. I know they look exactly the same in the above picture, but there are a couple of differences. The main difference is that the Accessory Concierge version is a little bit bigger. The spikes appear to be the same size, but the bracelet fits a little bit more loosely on my wrist. I prefer the tighter fit of the Stella and Dot bracelet, but for 1/2 the price, I’m thinking you can deal with the fact that it’s just a tiny bit looser! The little sparkly balls are also a little bit different, but to be honest, I can’t articulate why they are different. They just are a tiny bit different. Somehow. How’s that for being helpful and descriptive? It’s a wonderful little bracelet! The A.C. bracelet is on the right. See how it’s a bit longer? 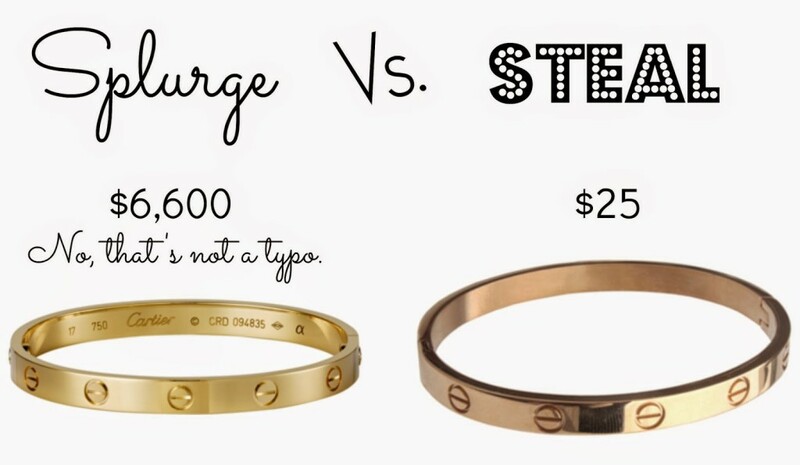 Now, I have super small wrists, which is why I prefer the Stella and Dot version. But if you don’t have tiny wrists, you might even prefer the Accessory Concierge version. I’m guessing that there are a lot of you out there who already have the Stella and Dot version in one color that will end up getting the other color today! I have a couple more Accessory Concierge Splurge Vs. 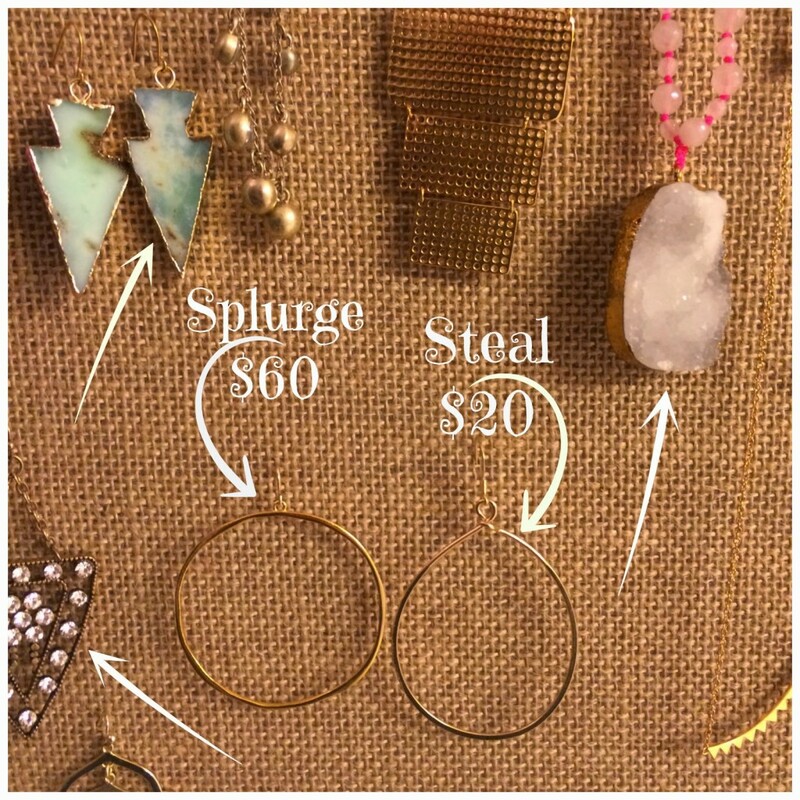 Steal items for you, but I also want to remind you of some of my other favorite Accessory Concierge pieces you have seen me wear in the past (that are still available)! I know when there’s a 20% OFF code you might want to take advantage with items I’ve highlighted previously also! The Fight Like a Girl bracelet is temporarily unavailable, but will be available again Monday (just not with the discount). But the ushion cut bracelet is available HERE. Seriously, couldn’t love it more if I tried. If you’re a regular reader of the blog, you know I wear this bracelet constantly also. It’s big and chunky and fun. And one of my favorite (and definitely one of the most unique) necklaces in my closet is also from Accessory Concierge. I’m telling ya, they know what they are doing over there! These next earrings have a real vintage-y feel to them and could totally be paired with a little black dress, or like I did with a casual tunic and leggings! Okay, let’s do another Splurge vs. Steal! And this one is a doozy! Are you guys familiar with the Cartier LOVE bracelet? See the real deal HERE, and try not to choke on your breakfast, because it’s $6600. Um, say it with me girls, NOT IN THE BUDGET. 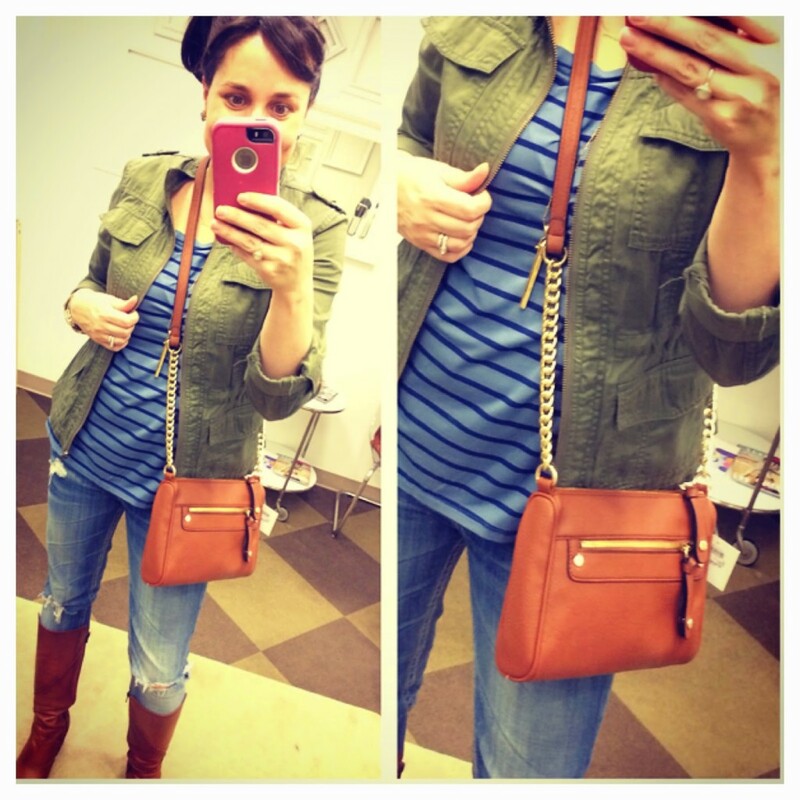 Well, the Accessory Concierge version is only $25 (plus 20% OFF this weekend with the code)! A few important points about this bracelet- it is stainless steel, so there will be no tarnishing over time. The quality is amazing. It’s pretty much an exact replica of the real deal. And Amy told me that all of the girls over at A.C. wear theirs in the shower, etc, and it never dulls. Click HERE for the A.C. Love bracelet! If you have a large wrist, this bracelet might not be for you. It’s more oval shaped than circle, and it fits close. 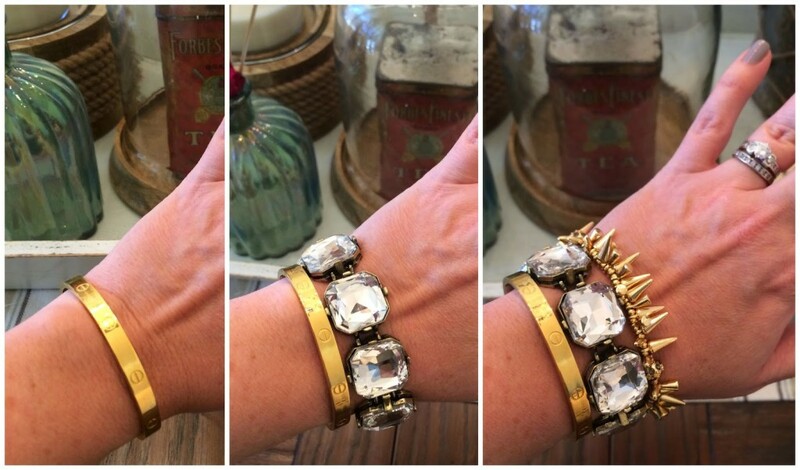 And if you want to see the ultimate bracelet stack…..all with items from Accessory Concierge, check this out! And Girls…..it would be so smart for you to think of all of the above jewelry in terms of gifts so you can fully take advantage of the 20% OFF PTMTJAN code! Do you have birthdays of friends, moms, sisters coming up? What about Valentine’s Day presents for your kid’s teacher? Or heck……forward this to your man for Valentine’s Day gifts for yourself! Or better yet, buy what you want and then tell your hubby what he bought you for Valentine’s Day. Okay, so we are done with the jewelry for the day, but we can’t talk about Accessory Concierge without talking about their awesome scarves. I did an entire post about them in my Cardigans and Scarves (The Perfect Pairing) post found HERE. Many of you bought a blanket scarf after reading that post. If you haven’t seen the post yet, you should totally hop over and take a look! I’ve received tons of e-mails from you ladies about your blanket scarves, and I’ve found out that blanket scarves are quite polarizing! People either LOVE THEM or they HATE them. If you love them, good for you! But for those of you that are feeling overwhelmed by your scarves, I’ve got an easy little trick for you today! And the only thing needed is a pair of scissors. And maybe a little bit of courage. Just fold your scarf in half (into a triangular shape), and cut it into 2 triangles. By doing this, it drastically reduces the bulk around your neck, but you still get the volume and the super cute styling of a blanket scarf. 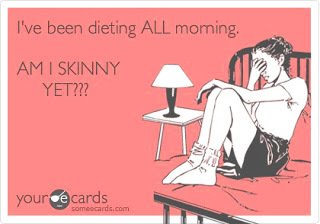 but you don’t have to deal with all of the bulk! (The picture on the far left is of the big blanket scarf, and the two on the right are after the scarf has been cut in half!) Share the other side with a best friend, a mom, a sister, whomever! I just cut it into two pieces. As my 6 year old would say, “Easy Peasy Lemon Squezy”. I ended up cutting up the black one they sent me to. I’m not sure if the pictures fully capture the reduction in bulk, but it’s amazing! And it’s still JUST AS CUTE! 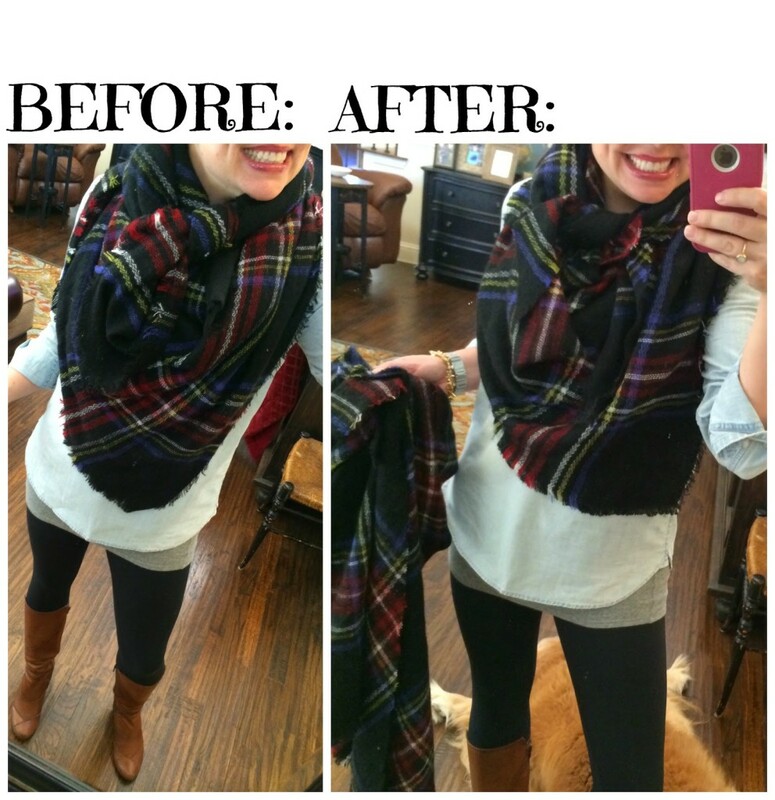 Click HERE for the black plaid scarf. And remember you can click HERE for my blanket scarf tutorial. Even when the scarf is 1/2 the size, I still used the exact same method to tie it! One more Splurge vs. Steal! You guys know I wear my Gorjana hoops all the time (found HERE), but Accessory Concierge now has a similar pair for $20! If push came to shove, I would have to stay I still like my Gorjana’s the best (I like how they are perfectly round), but THESE are fabulous too……and they are 1/3 of the price (+20% OFF this weekend!) I love how they are simple, yet they really make a statement because of their size! Click HERE for the A.C. hoop earrings. Don’t forget to use the code PTMTJAN to receive 20% OFF your ENTIRE ORDER from Accessory Concierge!!!! 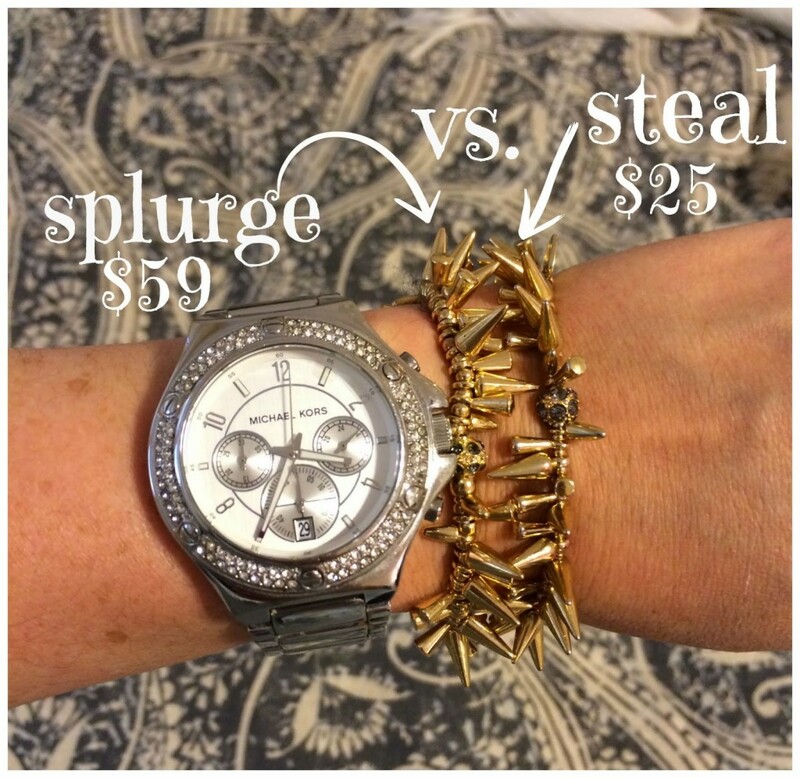 Here’s a review of the 3 items highlighted for Splurge vs. Steal! And here are some other items from A.C. that I didn’t necessarily mention in the post, but I would love to have in my own closet! And look at these darling options! I’ve got one more favorite to share with y’all before the weekend! 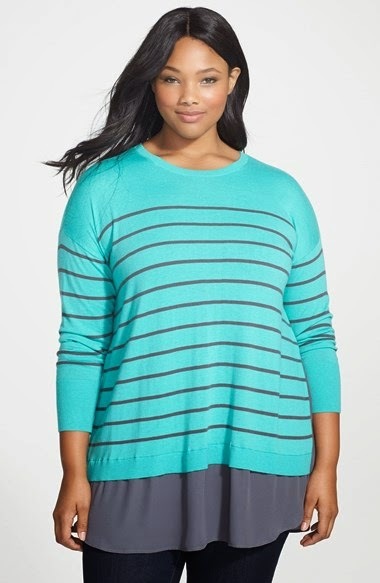 Faceook followers got a sneak peak on Wednesday night, but this sweater is now 40% OFF! 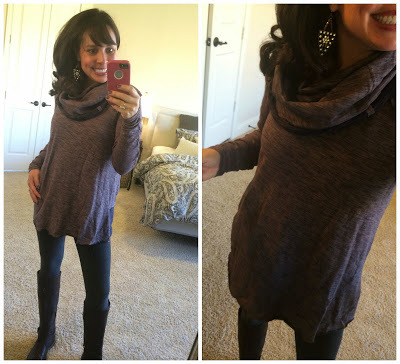 Click HERE for the layered sweater! And I didn’t know this when I originally posted the sale on Facebook on Wednesday night, but there’s also a plus-sized option! SO CUTE! Click HERE. I promised you guys a GET HEALTHY update, and I have it all ready to go HERE! I tell you how much weight I’ve lost so far, what I’m doing for exercise, and examples of what I’m eating! I’m hoping that many of you will join up with me! 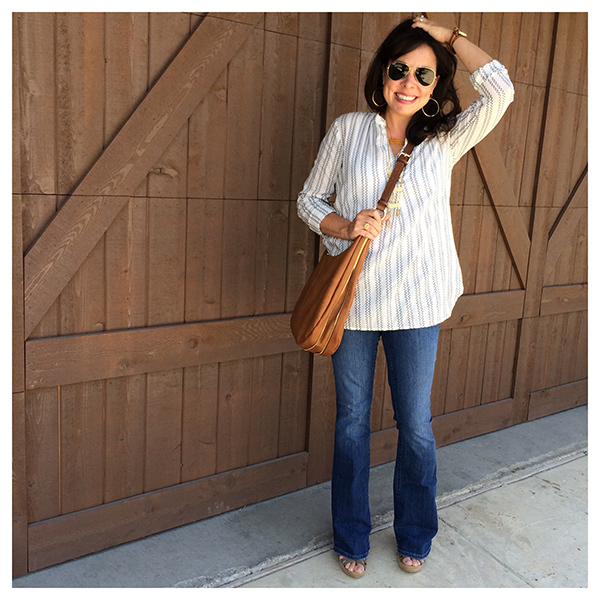 Friday Favorites and a Sale Code! I'm getting that spiky bracelet, the pink necklace, and the love bracelet for myself! I'm going to get that ladder necklace for my mom. Happy weekend to me! These are so fun!!! Is it weird that I'm running to get scissors NOW??? Just don't run with the scissors! Haha! 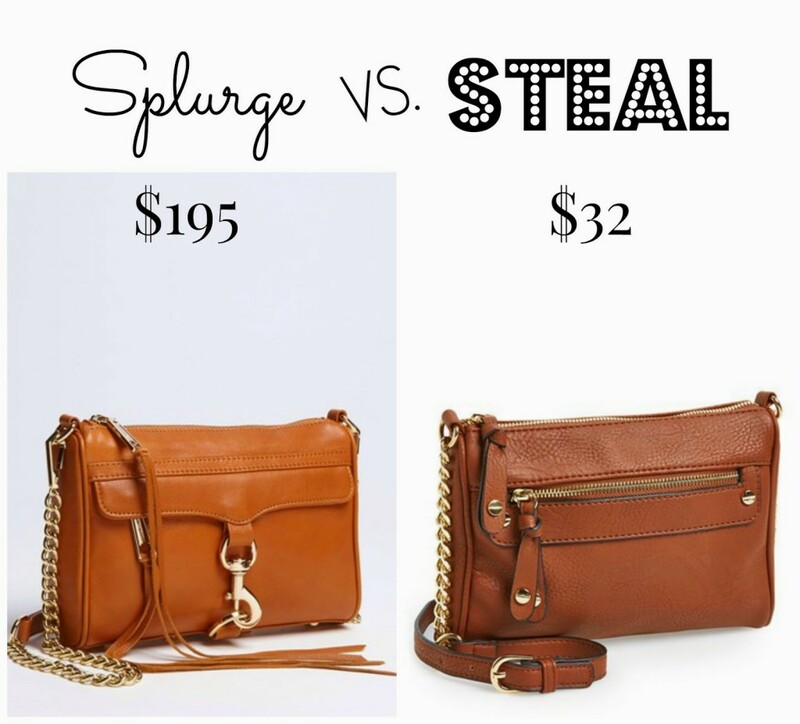 I love your splurge vs. steal posts. Some things matter to me if they are "real"….like I probably wouldn't buy the Rebecca Minkoff crossbody look-a-like, but jewelry doesn't bother me at all. I've wanted that spiky bracelet for awhile (it always looks so fun in all of your pics), and now I'm going to get it for myself. Oh, and I have the cognac tote you mentioned at the beginning of the post, and I get compliments on it all the time. It's a really great bag and I'm really glad I have it. I hope you keep these type of posts as a regular feature. Thanks! I love these posts! That spiky bracelet is fabulous and also I am totally grabbing that black blanket scarf! Love!! So much GREATNESS in one post!!! I don't know where to begin shopping now?! 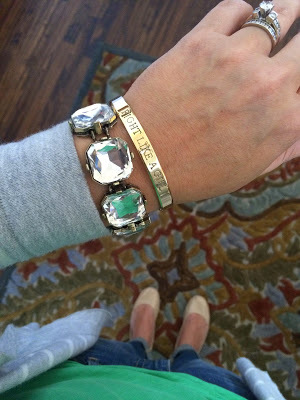 My favorite item today is definitely your cushion cut bracelet…I really think I NEED IT!!! 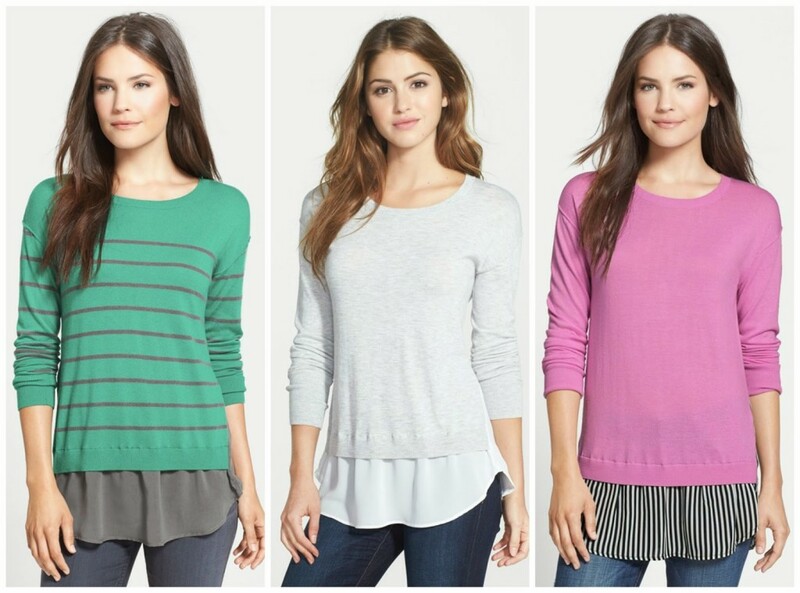 I also really like the layered sweater…I've seen it several times, but just wasn't sure which one I liked best. I have a gorgeous new blanket scarf from Grace and Lace but it's HUGE! I love the theory of cutting it in half but am soooo scared to do so (I know i should). Yikes!!! I was the same way. I finally realized that I wasn't going to wear it the way it was…. So I did it. Best thing ever. I've bought 2 more since then and cut those too. I wear them constantly now, whereas before I would try it on and then not end up leaving the house with them on! Oh my gosh! Thanks for your nudge to do it Susan! I did it, I did it, I did it! And it's soo much better. I will definitely wear it now! Yayayay!!!! Hi Kristin! I'm so sorry to hear this! I've had both the necklace and the bracelet since the first post also, and I've worn both a lot! (I wear the cushion cut bracelet at least 3 x every week.) I've never had a problem with either of them. Did you contact their customer service department? I have MANY of their pieces and I've been very pleased with all of them!!! Love love love the idea of cutting the blanket scarf; that is genius, girlfriend!! Boo! 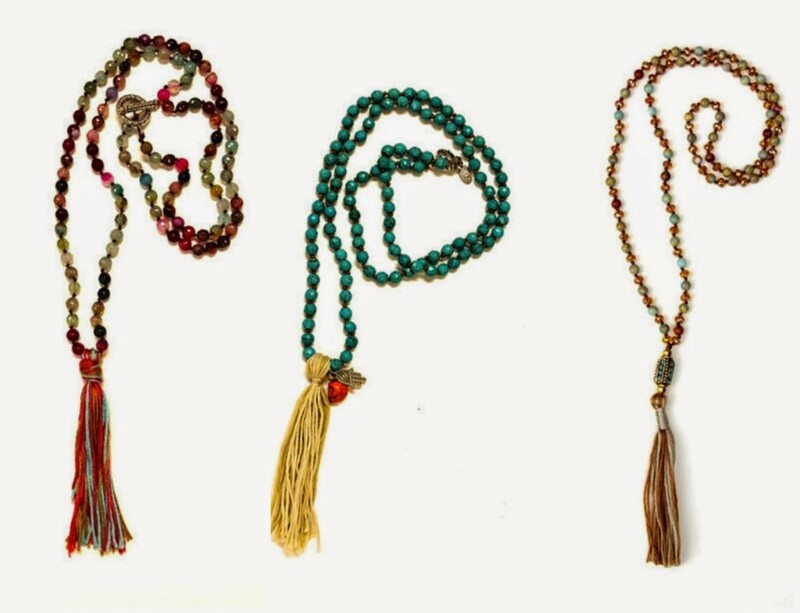 The tassel necklace is already sold out! 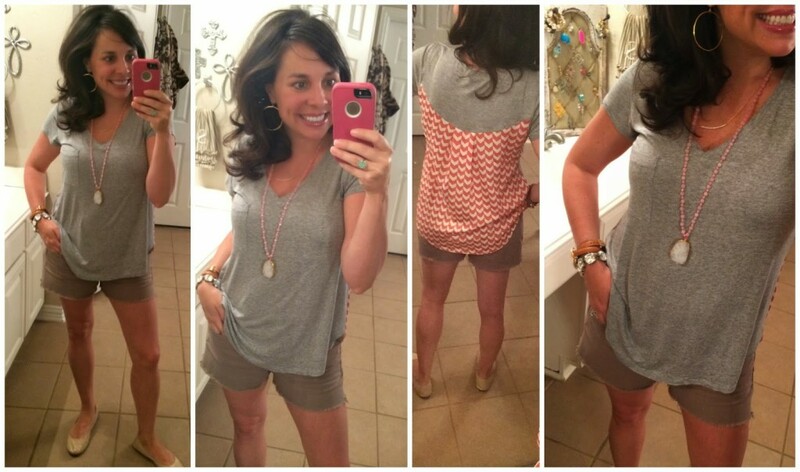 I love the gray shirt with the coral/white patterned back! Where can I find it? I own 3 blanket scarves, all of which I have cut in half. Love the look of blanket scarves, but found that I tried them on repeatedly, but never ended wearing them because they overwhelmed my frame. On a whim I decided to cut one in half and voila! Love them all now! You can even pull out the first few row of threads to fringe the edge that you just cut which will make both edges the same (if the original had a fringe edge). Love your blog….. Your recommendations are always spot on! Easy Peasy Lemon Squeezy is said just about every day at my house by my 5 year old, hahaha! I can't remember what show that is from but she says it all the time! 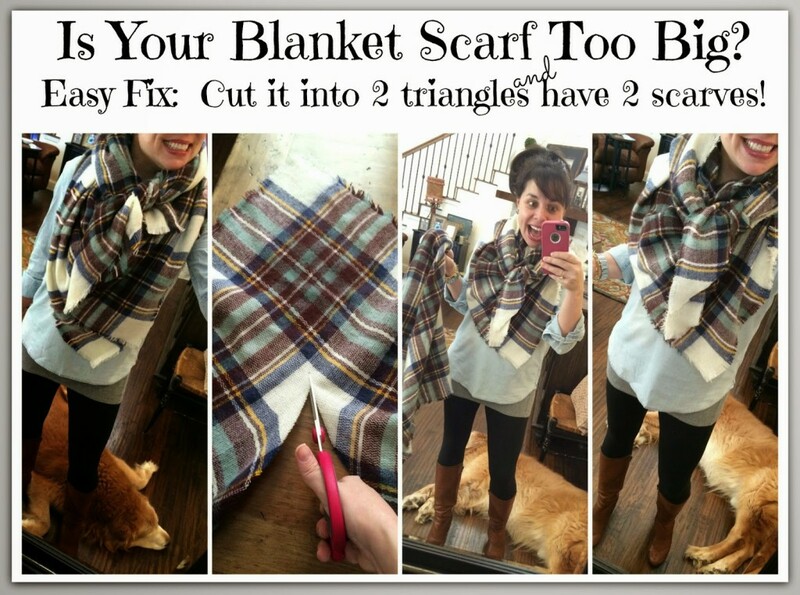 Also, I love that you cut your blanket scarf in half….genius! I love mine and I'm not sure I can cut it but just maybe I can bring myself to do it cause it still looks super cute and bulky enough! Happy Friday! I finally broke down and bought that tote, I've loved it every time you post it, but I have so many bags (I mean who doesn't right?) so the steal was the perfect option for me. So excited! Yep, all of America is going to be cutting up their blanket scarves now thanks to you! Genius! Ok, so can we all pause a min and ask why the AC ladies are wearing their bracelets in the shower?!?! I can't get the fight like a girl bracelet link to work…. Thank you for the awesome jewelry ideas! Unrelated to this post, just wanted to say I've worn the pinterest-inspired green and navy with gingham a couple of times now, each time with jeans, once with my new Hunter boots and once with my old brown rider boots. The compliments have been crazy! Thanks for the inspiration! Question for you on the shoes you just purchased. I normally wear a 7 1/2. Do you think I should get an 8 or a 7? Do they run small, big, or just right?? Just love your fun and upbeat blog! Am new to your site and am glad I am following you, Loved all the stuff today- just bought a bunch at Accessory concierge so Cool! In case anyone wanted to spurge on the free people denim jacket in pumice black, bloomies has it for $103.60 plus an additional 20% off and free shipping if you're a loyalist member (free!). Have you checked out "Charming Charlie" for accessories? I love their statement necklaces. Ps- I'm an SLP as well. SO much great stuff!!! I am going to have go back and read over it again to decide what I want!!! 🙂 love this! thanks so for sharing! Does cutting the scarves in half leave the cut edge looking weird or more likely to fall apart? I know the other edges have a little fray to them but I'm worried about pieces of the scarf falling apart or long strings hanging from the cut edge? I LOVE these posts so much, they're amazingly helpful! I am so glad I finally took the plunge and cut my blanket scarf!! I love it so much more!! I recently got the Red and Black Reversible Tartan Scarf from Accessory Concierge and didn't realize it was 200 X 60cm vs the normal square blanket scarfs that are 140 X 140cm…have you tried cutting any scarfs that are more rectangular like this one? I am nervous to try it but would love to reduce the bulk! Thanks for any suggestions and LOVE the blog!!!! 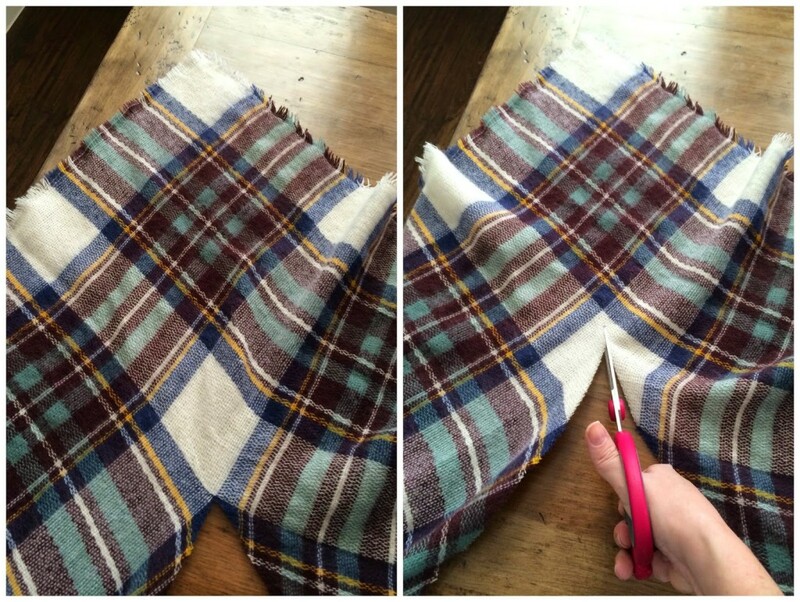 So…after 10 months, I finally got a blanket scarf and I cut it in half! Eeek!!! It's awesome. The scarf was just too bulky but I love it now and my daughter can have the other half and I won't care when she shares it with her girlfriends because mine will still be in my closet…if not around my neck. How cozy! !